Nivolumab, a monoclonal antibody-targeting programmed cell death protein-1, is being increasingly used for the treatment of some advanced neoplasms. Several of its adverse effects are a result of the upregulation of T cells, with colitis as one of the most severe, and a challenging differential diagnosis with ulcerative colitis. However, few real-life clinical practice cases have been reported beyond trials. Our aim was to report a series of new cases, reviewing previously communicated endoscopic-proven nivolumab-induced colitis. All patients treated with nivolumab in three university centers were identified and those who developed immune-mediated colitis (defined as the presence of diarrhea and evidence of colitis demonstrated by colonoscopy) were described. Additionally, a review of case reports of nivolumab-induced colitis reported in the literature up to March 2018 was performed. Six new cases of nivolumab-induced colitis and 13 previously reported cases out of randomized clinical trials are described. 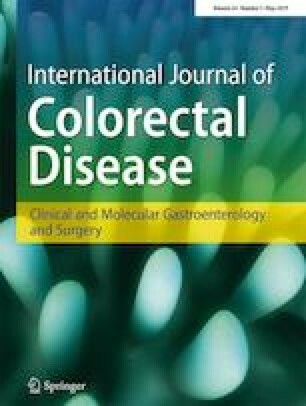 Colonoscopy showed a mucosal pattern mimicking ulcerative colitis in a large proportion of patients. Clostridium difficile superinfection was observed in two out of 19 cases. All but three patients definitively discontinued nivolumab therapy. Most patients were initially managed with oral or intravenous corticosteroids, but five of them required rescue therapy with infliximab. Nivolumab-induced colitis may mimic ulcerative colitis. Steroid therapy (oral or intravenously) is often efficient, but one-fourth of patients need rescue therapy with anti-TNF. Intestinal superinfection with Clostridium difficile or cytomegalovirus should be ruled out before starting immunosuppressive therapy. FC received a research grant from the Societat Catalana de Digestologia. The study was approved by the local Ethics Committee of the coordinating center (Hospital Universitari Germans Trias I Pujol).